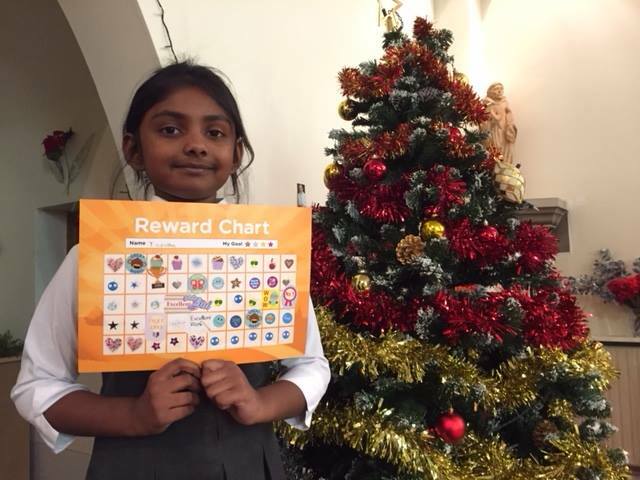 Sapthavi has been working really hard to improve her reading and spelling at Genie Tutors in Hailsham . What an improvement you made last term, Sapthavi. Congratulations on achieving your bronze award! Ryan always works exceptionally hard and deserves yet another certificate. We are so pleased that Amber came back to us at Genie Tutors, to help her prepare for her Year 6 SATS. What a hardworking and sensible girl she is! Anne and I are really please with the progress you made in your maths last term. Congratulations on achieving your bronze award! 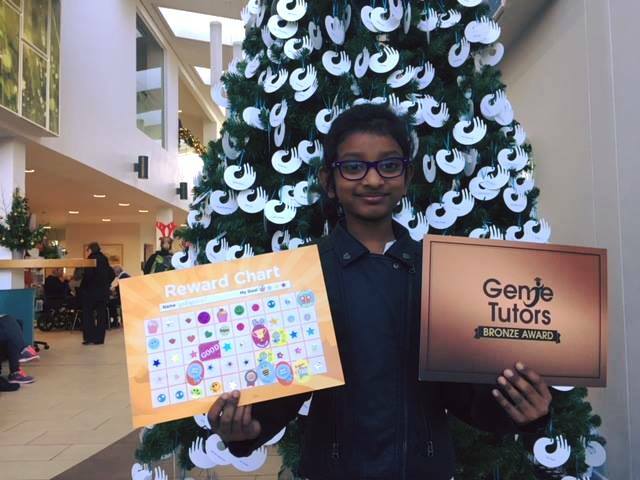 Tanisha always gives of her best and has come on in leaps and bounds since joining us at Genie Tutors. 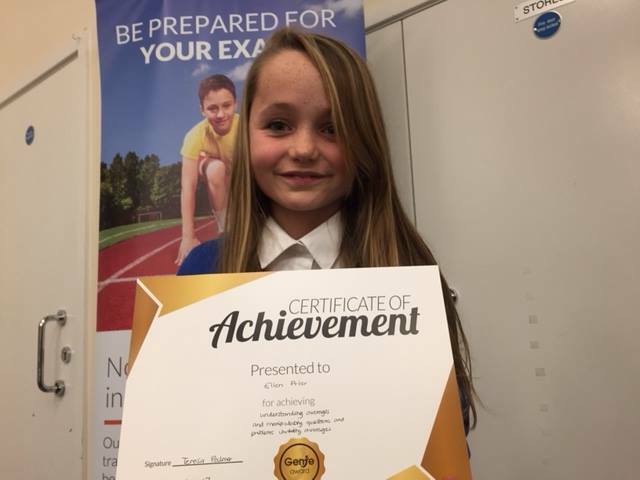 Congratulations on achieving your bronze certificate Tanisha! Well done Ruby. 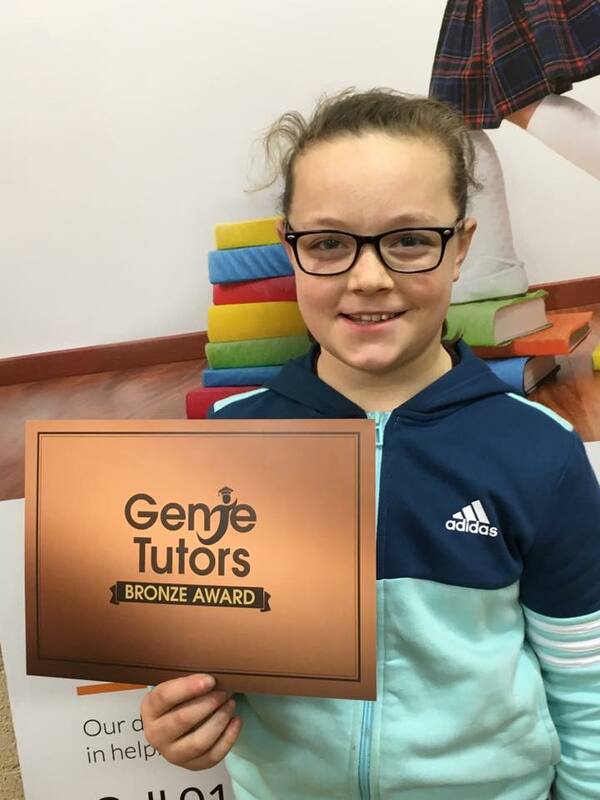 You've got your Bronze award at Genie Tutors Bromsgrove. Keep up the super effort. 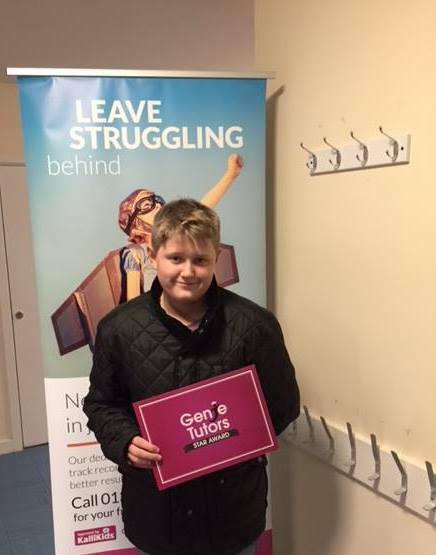 Regan has been attending Genie Tutors since Year 6 and is now in Year 8. We admire his tenacity for getting up early every Saturday morning in order to attend his lessons. He has continued to work enthusiastically throughout that time and has achieved at least 2 complete sets of our awards. We are delighted that you are finding the lessons to be so beneficial in maintaining your progress and attainment at Secondary school. Congratulations on achieving your latest silver award, Regan, and keep up the hard work!. 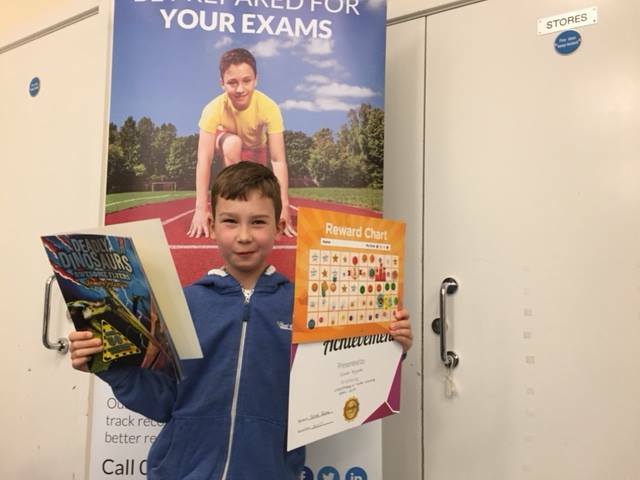 Oliwier has been making such improvements with his writing at Genie Tutors that he has now had his work displayed in the golden book at School. 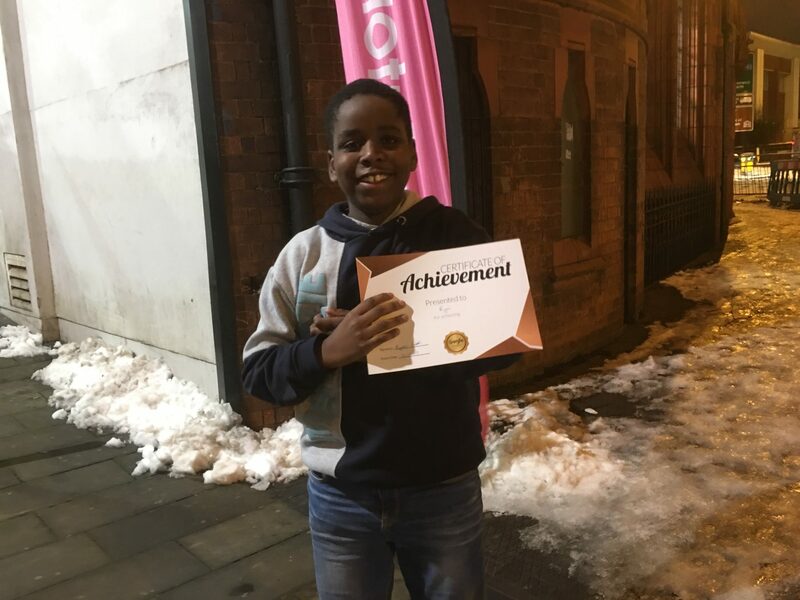 Congratulations Oliwier on achieving your star award! Congratulations Niamh for achieving your Bronze award. 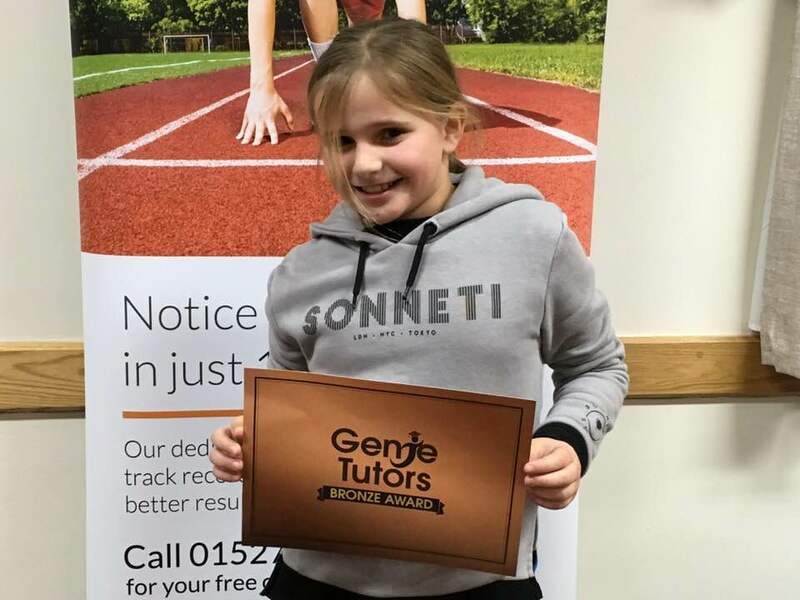 We're really pleased with your progress at Genie Tutors Redditch. Keep up the great work! 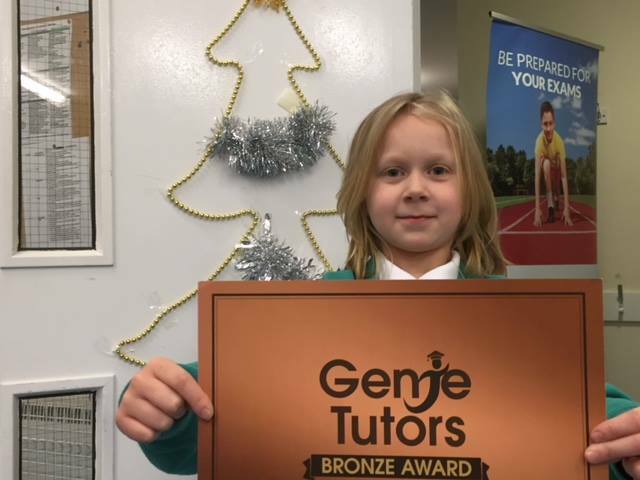 Congratulations to Mia who received a bronze certificate, just before Christmas, in recognition for her progress in English and Maths at Genie Tutors Eastbourne. Anne and Teresa are really pleased with your efforts to concentrate and overcome obstacles to your learning . We can see the progress you have made, Mia. Keep up the good work! 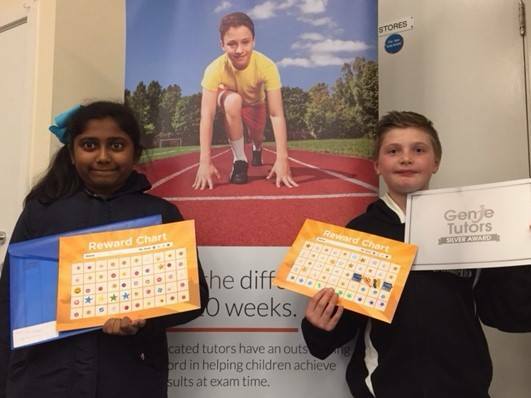 Congratulations to Maizy and Joseph who received a silver certificate for their progress in English at Genie Tutors Eastbourne - just before Christmas. Charlie (your tutor) is really pleased with the efforts you have been making to answer exam style questions in detail. Keep up the good work! 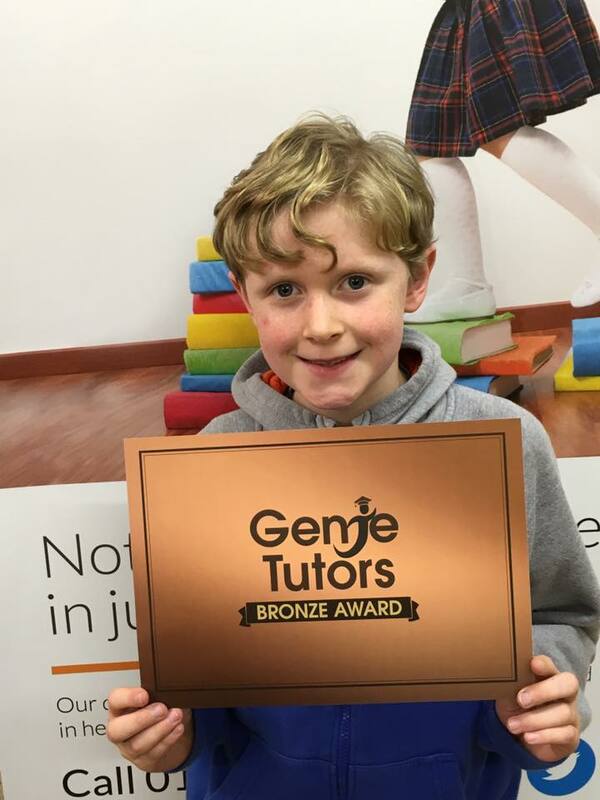 Luke is another member of Genie Tutors Eastbourne who has been attending lessons since leaving Primary School. We are delighted that you continue to find the lessons support your understanding of the English curriculum and give more focused time with your tutor. Congratulations on achieving your most recent star award. Another one for your collection! 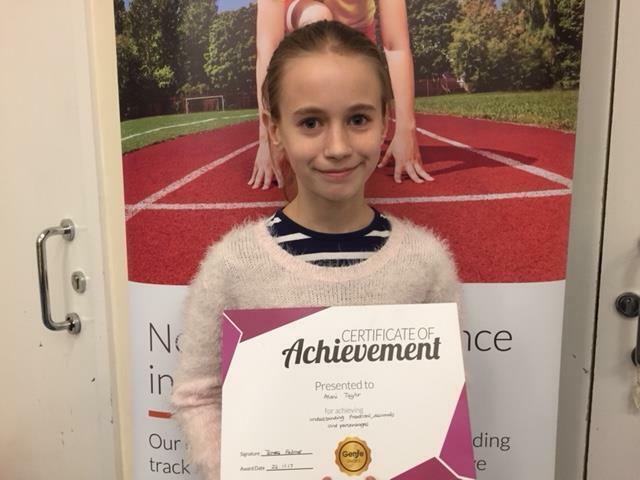 A delighted Katie, having achieved her Star award at Genie Tutors Redditch. Couldn't wait to have her photo taken! Keep up the super effort. Jothi and Mason on Wednesdays in Eastbourne. They have been helping each other to make great progress with their maths and have seen recent success with their problem solving skills. They always take a full part in their lessons and contribute enthusiastically. 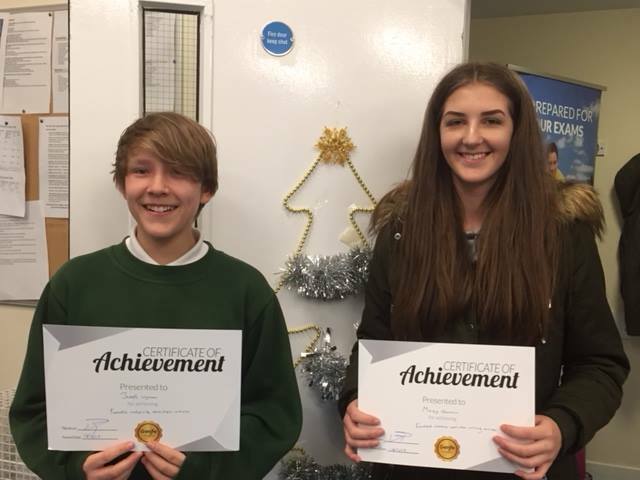 Congratulations on your achieving your latest certificates! Jackie is always imaginative and creative. Well done on achieving your Silver Award. 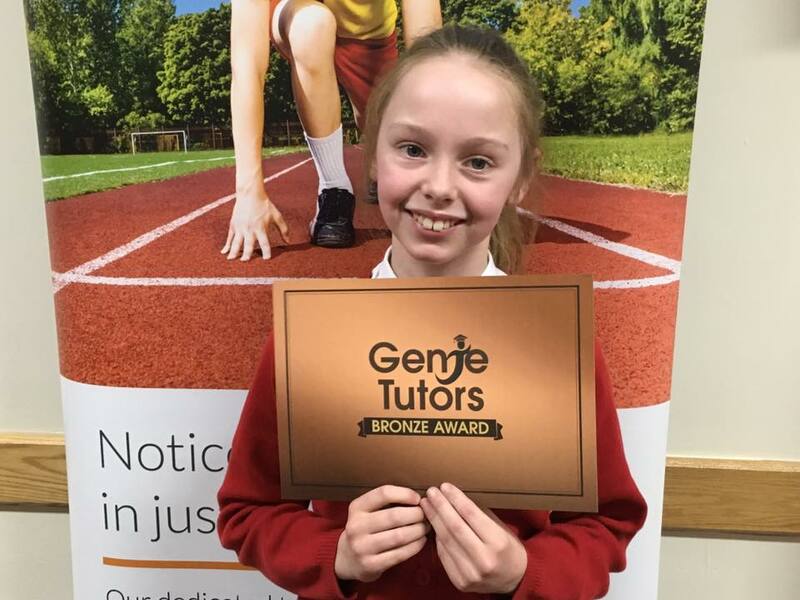 Congratulations Georgia for achieving your Bronze award at Genie Tutors Bromsgrove. We're delighted with your effort and progress. Keep up the great work! 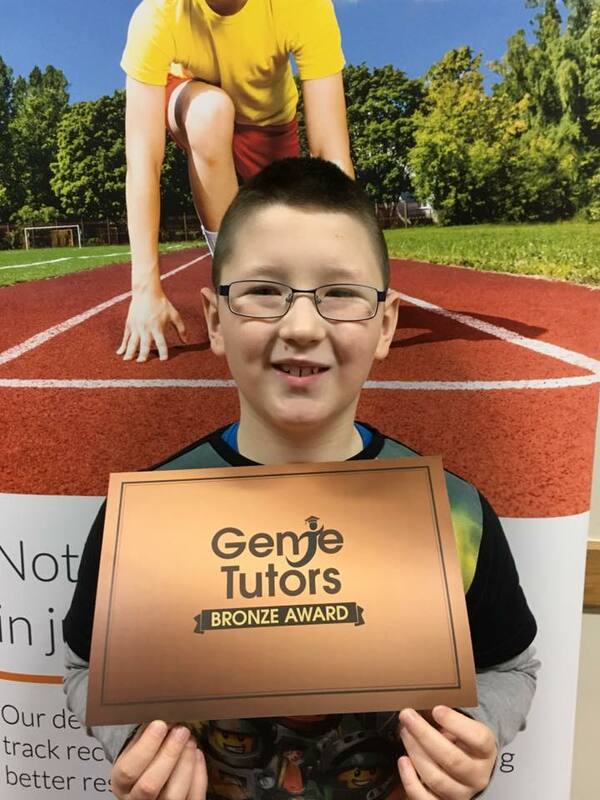 Congratulations to Daniel at Genie Tutors Redditch for his fantastic attitude and achievement. Well done on another Bronze award. Keep up the hard work. 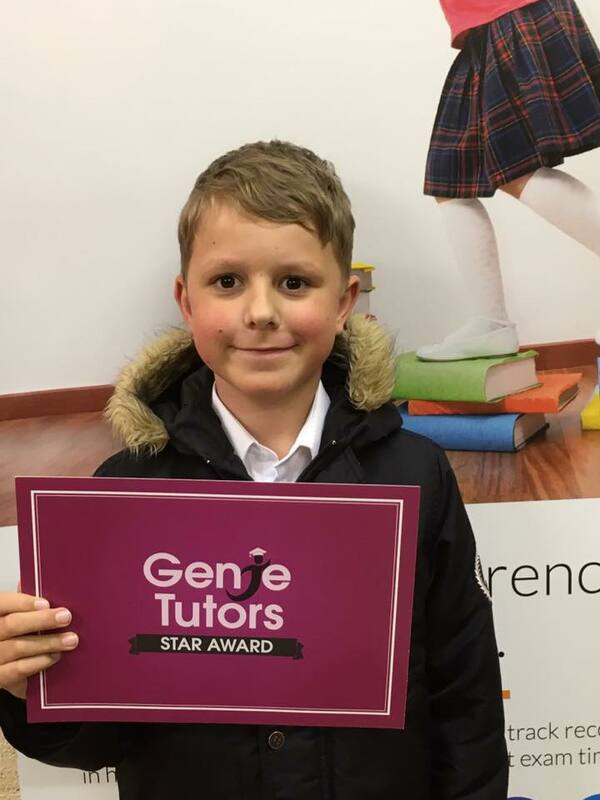 Congratulations Mat on your star award at Genie Tutors Bromsgrove. We're really pleased with your hard work and achievement. Ellen is a hardworking student. 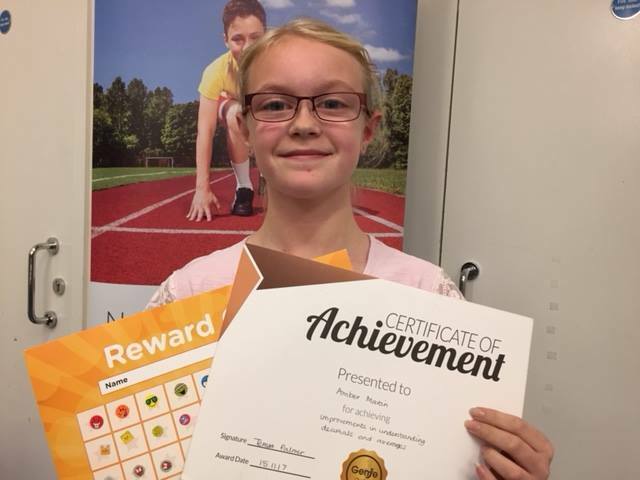 Her approach has enabled her to make fantastic progress with problem solving skills in mathematics. Anne and I are really impressed with your effort and achievement. Congratulations on achieving your gold award Ellen! 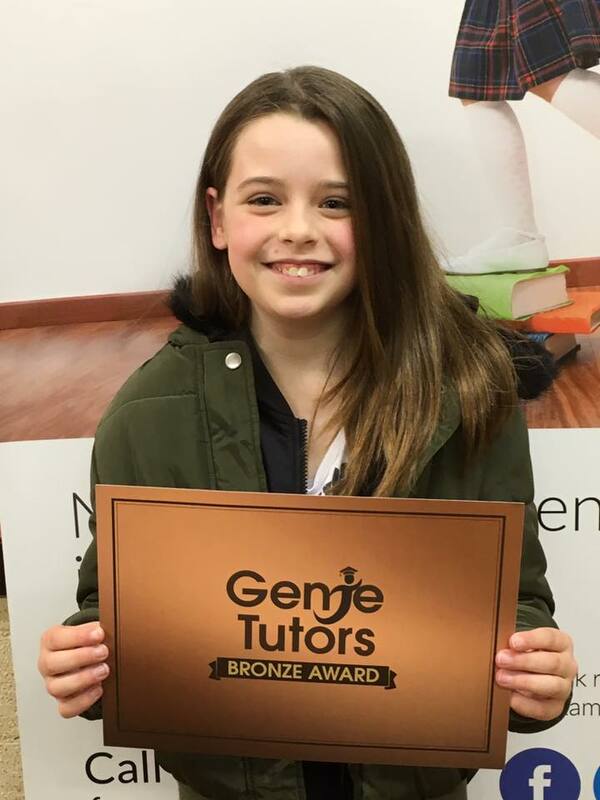 Congratulations to Chloe for achieving her Bronze award at Genie Tutors Redditch. Keep up the great work towards you 11+. 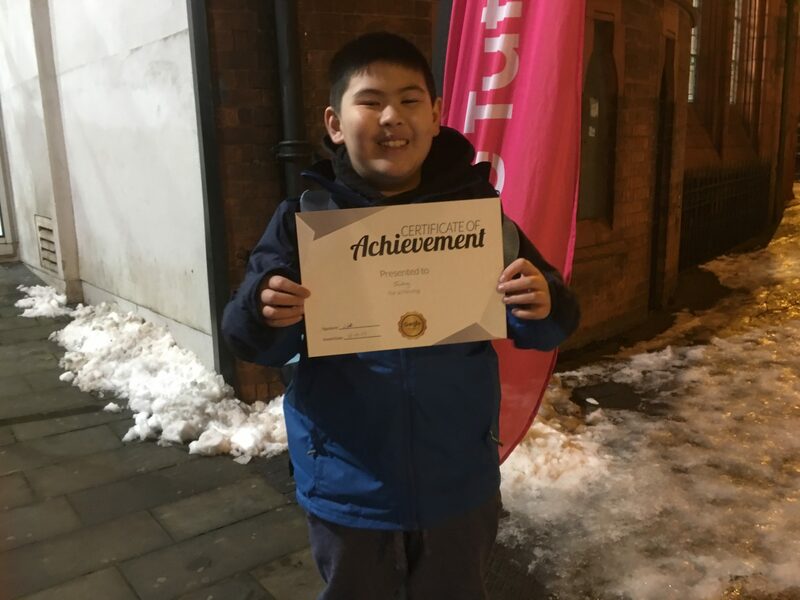 Derrick has not long been with us at Genie Tutors Hitchin, however, he has made so much progress in his learning. Well done Derrick. Brennan attends our Centre in Eastbourne. 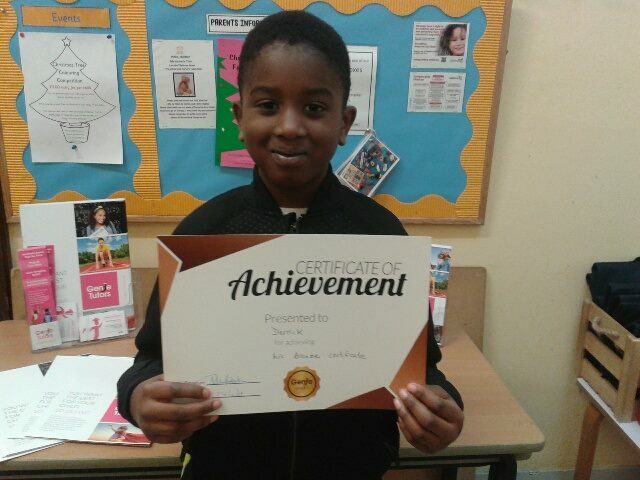 He has been so focused on improving his English skills this term, especially his spelling, and is justifiably proud of his achievements. We have seen great improvements in your work, Brennan. 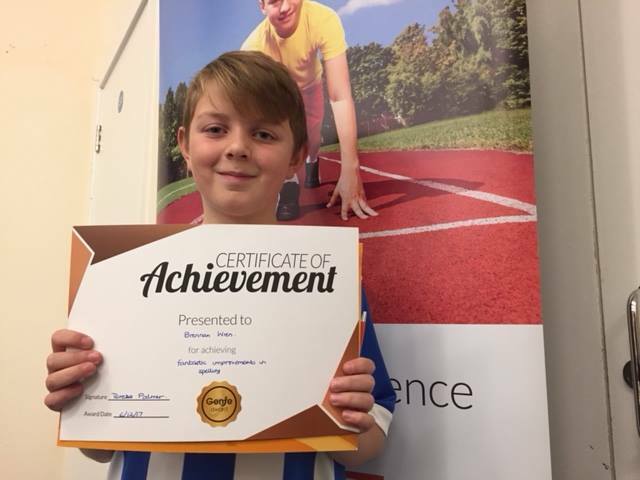 Congratulations on achieving your bronze certificate! Alice was looking forward to receiving her next certificate at Genie Tutors. She already had her prize 'earmarked'. We are glad it helped to keep you focused and motivated Alice. Congratulations on your achievements"! Well done Alani! You have made an excellent start to your first term at Secondary School . Your continual hard work and dedication to improving your skills in Maths and English has really paid off. We now see a much more confident approach to your work. 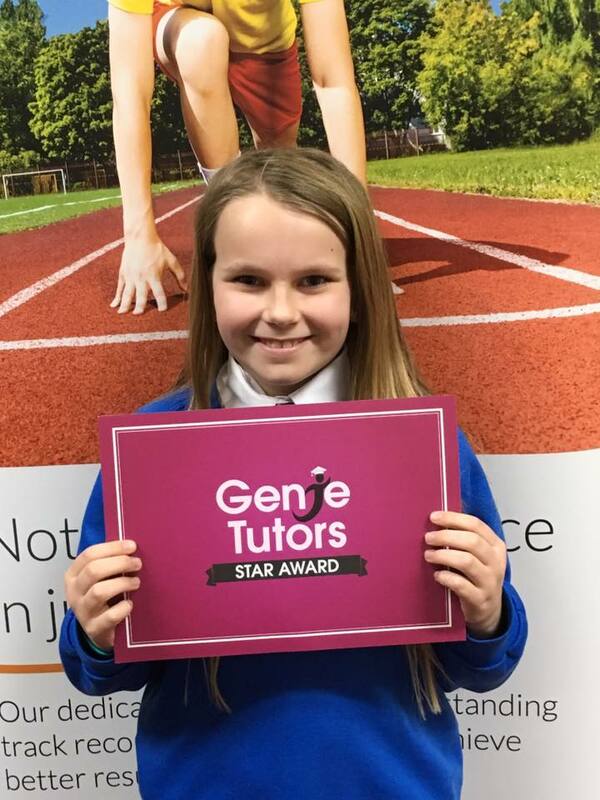 Congratulations on achieving your Star award at Genie Tutors. 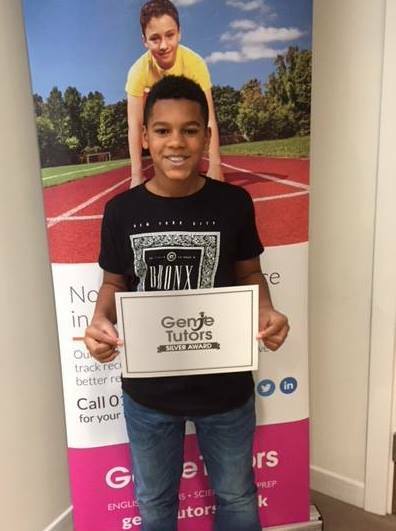 Nikki Jayden and Ryan have been working hard together at Genie Tutors Edgbaston for so long they wanted their picture taking together. 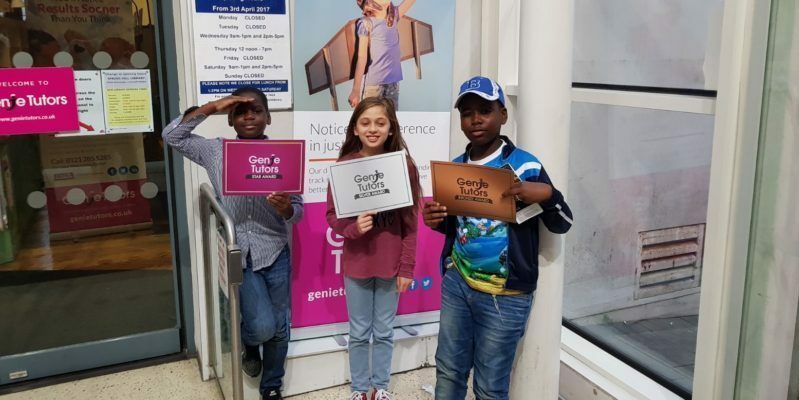 Parents expect progress every week at Genie Tutors. If you see your child above why not tag them into our facebook post to share the celebration. 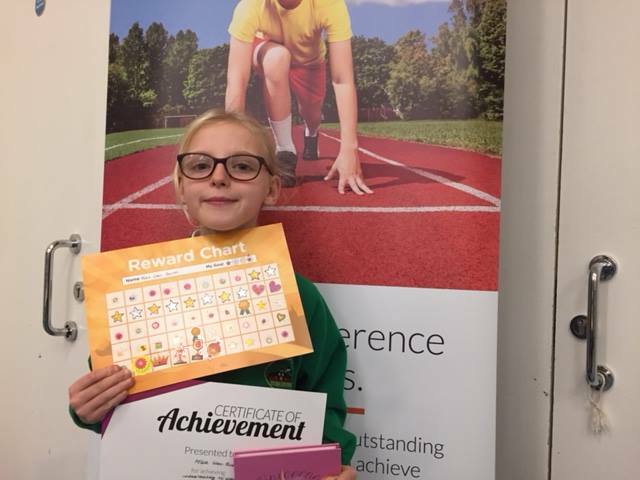 If you would like your child to celebrate success like theses children you can request a call back to find out how we can help you.